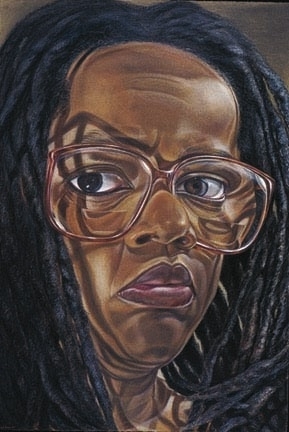 Diane Edison, Self Portrait with Glasses, 1997, colored pencil on paper, 44 x 30 inches. An exhibition of drawings by Diane Edison is currently on view at the Neil Britton Art Gallery at Virginia Wesleyan University. Diane Edison - Black and White surveys a group of eleven portrait drawings depicting Edison's friends, family, and fellow artists, dating from 1997-2015. The exhibition will be on view through Novermber 2, 2018.